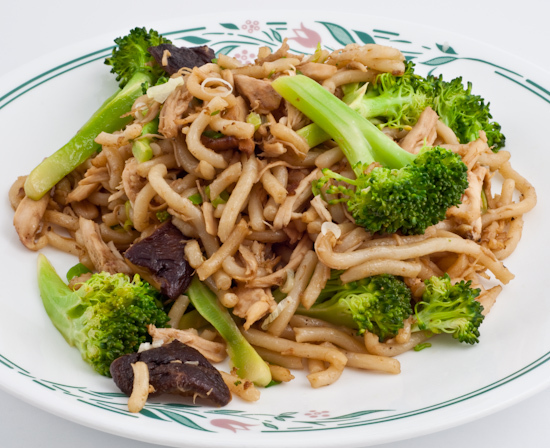 Lunch: Tina made an unexpectedly delicious stir fry out of some udon with broccoli, shiitake mushrooms, with shredded chicken. Dinner: I pan fried a fish fillet (I don't know what it was - we had purchased it fresh, frozen it, and forgotten about it for a couple weeks - it tastes like real sea bass) and sauced it in a soy sauce, rice wine, chicken broth, and sugar mixture (thickened with corn starch). 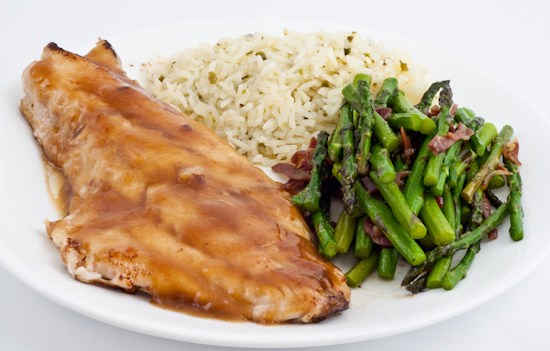 I served it with buttered rice (cooked with heatless jalapeno chiles and garlic) and asparagus with prosciutto.